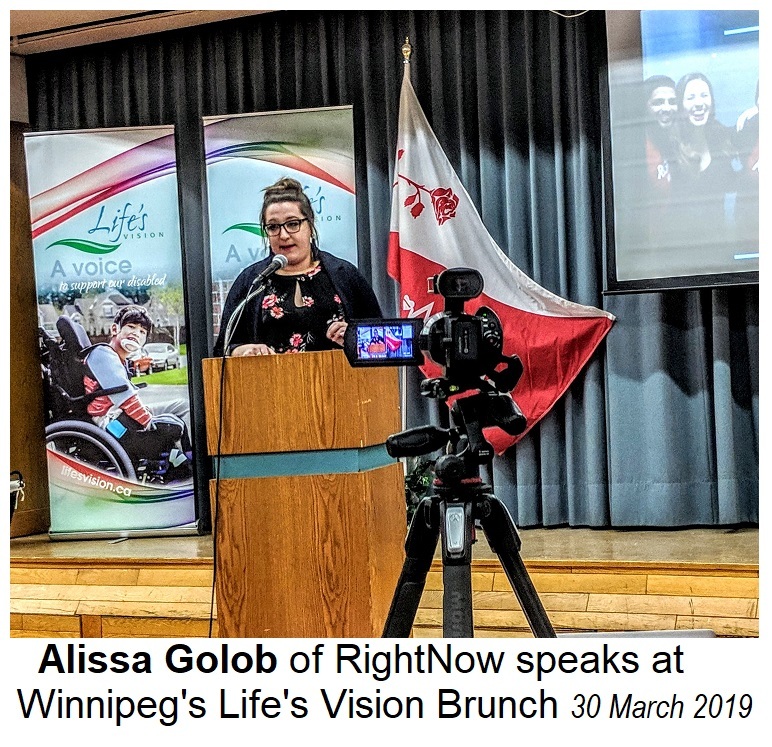 The President of Winnipeg's Life's Vision Board, Joan Armstrong, opened the pro-life organization's annual fundraising brunch by welcoming the guests that gathered from around the city. 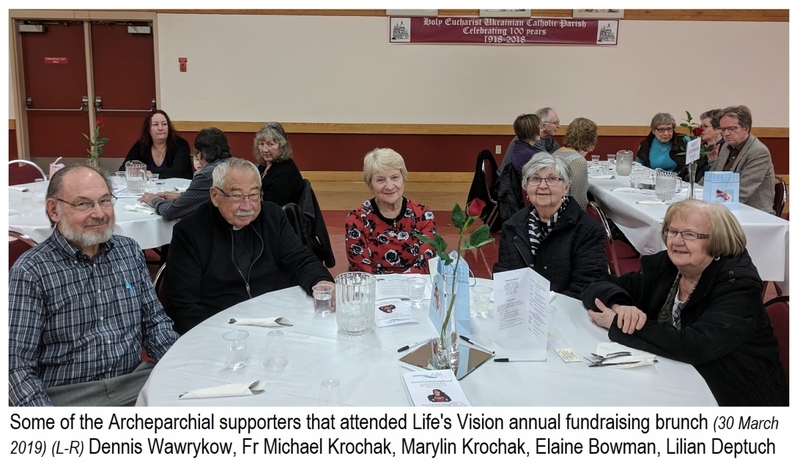 The event, held at the Holy Eucharist Parish Centre in Winnipeg's East Kildonan, included all the typical fundraising opportunities like draws, donation envelopes and silent auctions. However, two highlights were the excellent brunch prepared by Budget Caterers and the hope-inspiring keynote address given by Alissa Golob. The opening prayer was led by Life's Vision Past President Valerie Wadephul. 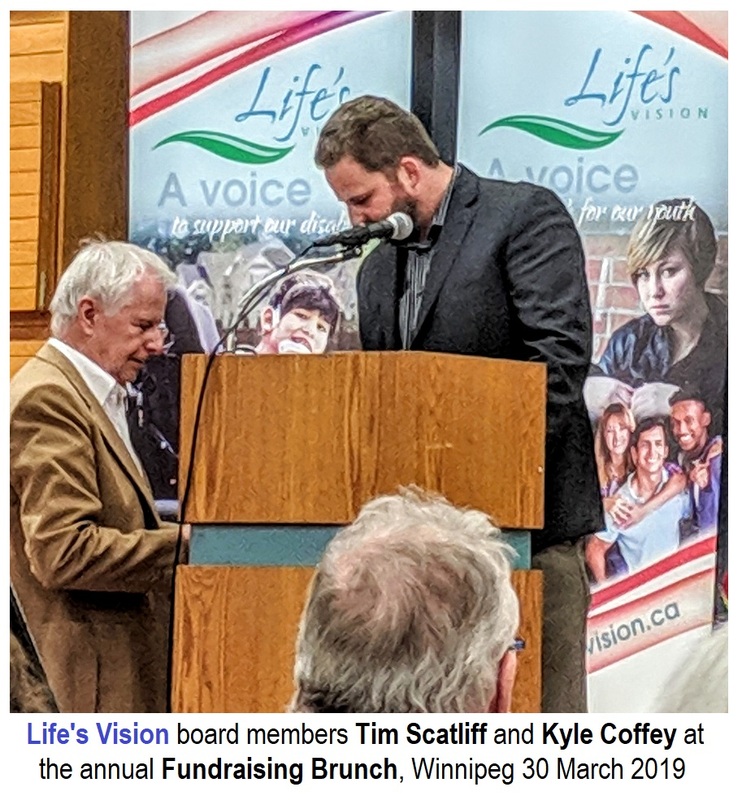 Board member, Kyle Coffey had the honour of introducing and then thanking the day's special guest speaker. Perhaps not many guests expected the presentation that Alissa Golob delivered, except perhaps those that had also attended the morning workshop that she conducted at the same location. Alissa has extensive prolife experience. Aside from achieving a university degree and an NCBC certificate in Health Care Ethics, she speaks widely at conferences, universities, schools, on media programs and served as Campaign Life Coalition's Youth Coordinator. Her present passion and dedication is to the RIGHTNOW pro-life organization that she co-founded. This amazing organization, led by young people for the most part, strives to educate voters about the issues and how they can and will make a difference by not remaining indifferent and not allowing themselves to become despondent. She shared not only the very doable strategy, but offered several actual accounts of unbelievable successes and, yes, disappointments that were missed by only a handful of votes. Part of the goal of RightNow is to encourage the election of pro-life politicians on all levels of government. Alissa offered several snapshots from history that probably had not a few googling on their computers when they got home. One quote was about the leading American feminist, Alice Paul, who co-wrote and promoted the Equal Rights Amendment that sought full rights for women in the United States. Although an icon of the feminist movement, Alice clearly regarded abortion as "the ultimate exploitation of women". Of course, one of the underlying messages is not to squander one's right and responsibility of living in a still democratic society. A number of members of the Archeparchy, including a few clergy, were in attendance from various parishes at the earlier workshop and at the brunch. The pastor of the parish where the event was held even won one of the silent auction prizes. Deacon Rick Loftson led the closing prayer. The mission of Life's Vision is to contribute to the protection of life from the moment of conception to natural death. To uphold, advocate and promote in an ethical and moral manner the respect that all human life deserves.